More money was printed by the United States government in July, though the total value and types of bills fell from June, data from the agency responsible for manufacturing U.S. currency shows. 524.8 million in $1s, $5s and $100’s were printed for a total value exceeding $25.5 billion, according to July production figures from the Bureau of Engraving and Printing (BEP). The amount of banknotes marks a 13.5% increase from May’s 462.4 million while the total dollar value is down 2.7% from the prior month’s $26.2 billion. Last month the BEP did not make $10’s compared to the 76.8 million in May. Also, there were 960,000 fewer $5s and $100s dropped by 640,000. 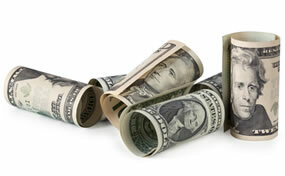 Ground was made up and then some with $1s as 140.8 million more were printed than in the previous month. The following table offers the type, the amount and the total value of denominations printed by the BEP in July.